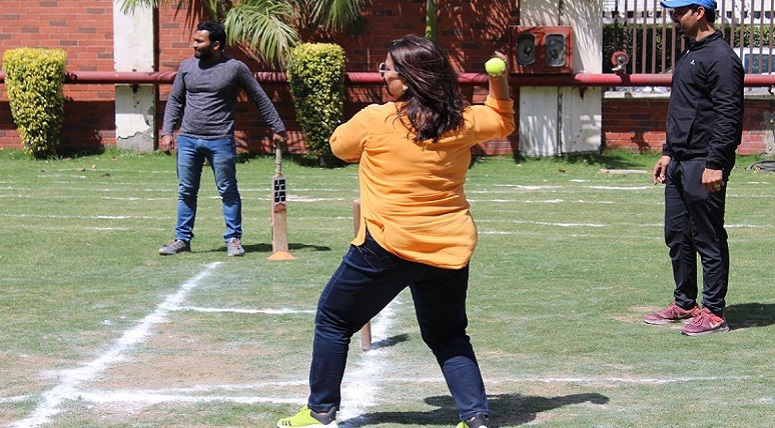 As the session 2019-20 begins on a good note, for the sheer pleasure of celebrating sportsmanship, an Inter Faculty Sports Meet was conducted at MRIS Noida recently. 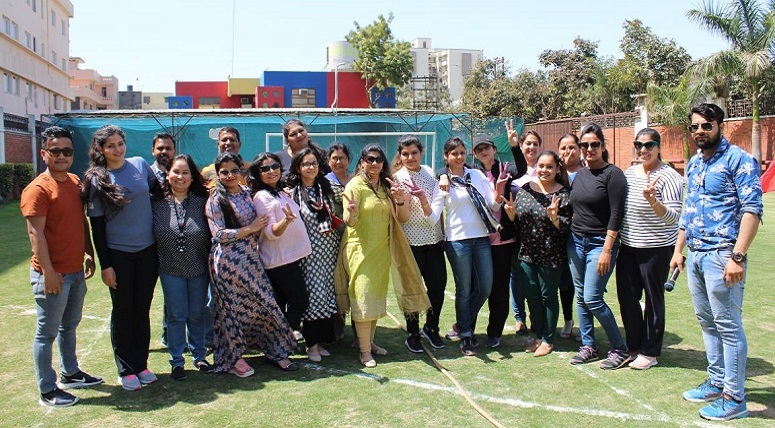 While the winner of the Individual Round in Badminton was Ms. Priya Chopra and the runner up, Ms. Geetanjali; the winner of Table Tennis was Ms. Shivani Tyagi and runner up, Ms. Manita Lal. 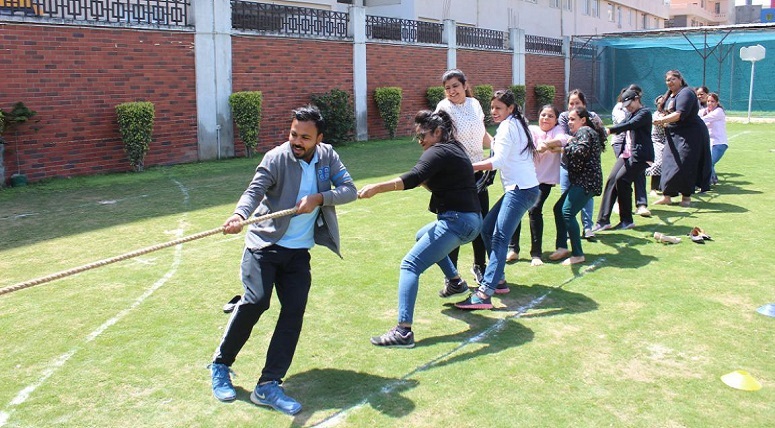 In Shooting, Mr. Naresh kumar was the winner in the male category while Ms. Jyoti Dixit and Ms. Astha Minhas won in the female category. Talent wins games, but in championships, it is teamwork and intelligence that matter more. 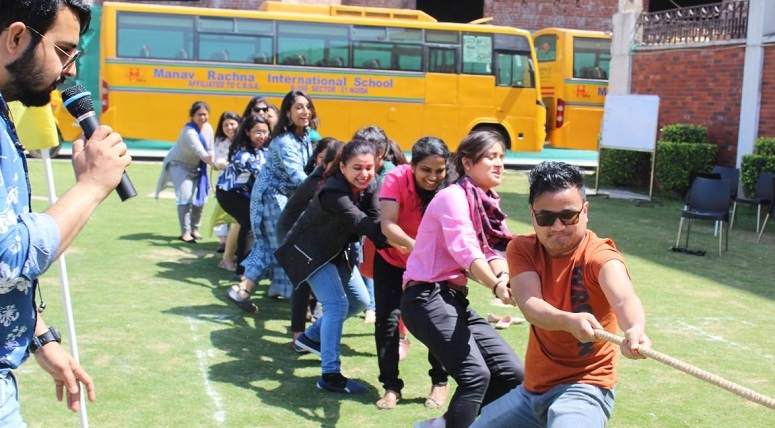 These were put to test in team-oriented sports as the groups were tested for strength and teamwork in tug of war, cricket and volleyball. The event was a great experience amidst screams, cheers and excitement.